China dinnerware patterns are plentiful, and knowing the dinnerware pattern is the first step in finding replacement dinnerware pieces for antique china dinnerware. Also, reviewing popular china dinnerware manufacturers and china dinnerware brands can help to you to choose the pattern that is perfect for you in fine china dinnerware. If you are looking for a particular pattern, or you want to brag about your favorite pattern and the collection that you have developed, feel free to post your photos and your story. We would love to see it and help you to find the pattern that you are looking for. What is your favorite dinnerware pattern, and why? Tell your story and post photos to show off your collection. Need to identify a pattern? Post pictures and maybe we can help! I have looked for pattern names of dinnerware that I have had in the past and I have found each and every one of them using these tips. More often than not, china dinnerware manufacturers stamp the name of the pattern on the back of the dishes. 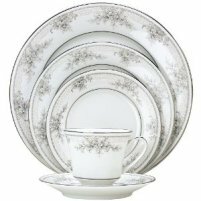 Sometimes antique china dinnerware does not have the pattern on the back stamp, which can present a problem in finding replacement dinnerware. The internet is a great place for identifying dinnerware patterns. Sharing a photo can often bring resolution because a lot of people know of dinnerware patterns, especially if it is, or once was popular. eBay is a great place to browse dinnerware that is for sale and often you will see the dinnerware that you are looking for and most times the pattern is disclosed. A lot of time, patterns can be identified by a simple description. 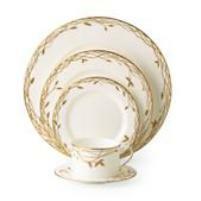 Replacement dinnerware companies often offer a pattern finding service and they do know the patterns. If you can describe the dinnerware, chances are they can help you out. The first place to look for a pattern that will light your fire is to look to the most popular China Dinnerware Manufacturers and China Dinnerware Brands. I am confident that you will find the perfect dinnerware set for you or for a gift for your favorite chef. 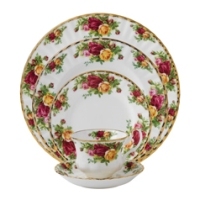 Finding the perfect china pattern of fine china dinnerware can be a blessing. It is wonderful for gatherings and makes a perfect gift for hostess-bound lady. 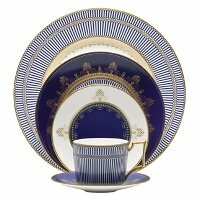 Knowing the pattern is necessary for finding replacement dinnerware to ensure that the set lasts a lifetime.